This long awaited, and much anticipated, construction work has started. The SouthEast Connector (SEC) will be a 6 lane arterial roadway with two new at-grade signalized intersections. The new intersections will be at Mira Loma Drive and Pembroke Drive. The SEC will originate at the existing intersection of South Meadows Parkway and Veterans Parkway on the south end and will terminate at the existing intersection of Greg Street and Sparks Boulevard on the north end. This is very exciting for business and property owners across the region, as a new artery will create a new traffic corridor never before seen in some key regions of northern Nevada. The article is courtesy of the Reno Gazette. An interesting graphic from the U.S. Census Bureau's American Community Survey and the Reno Gazette Journal regarding median household income and demographics in the northern Nevada area. The Southeast Connector plays right into a great demographic area for the region. Courtesy of @rgj. 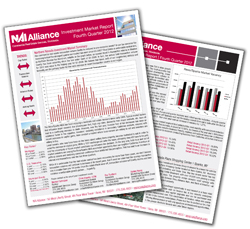 NAI Alliance has recently posted its Fourth Quarter 2012 Investment Market Report. While the overall theme was flat to slow growth, the Northern Nevada market has seen some bright spots during the slow, yet steady, recovery. An upward trend in transaction volume in Washoe County has been occurring since the low water mark of Q1-2009. Much of this has to do with taxes, both of our neighboring state(s) and federally, being the primary factor for the rapid increase in recent transaction volume in our region. With new business such as Apple, Biz Chair, and Alfa Aesar moving in, as well as a continued commitment to Northern Nevada by the likes of Henry Schein, Trex, Hamilton Company, Sanofi and others mean that the region is stabilizing and showing conservative signs of growth. To read the full Investment Market Report, including vacancy rate data and in-depth thoughts on the California to Nevada shift, click here. 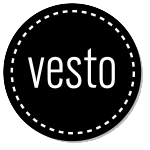 Michael Schnabel of NAI Alliance, Chosen To Participate as a Judge for the Upcoming Project Vesto Competition!